to 30% less fuel! Mounting dimensions match other .15-size plain-bearing engines, such as the O.S. LA 15. 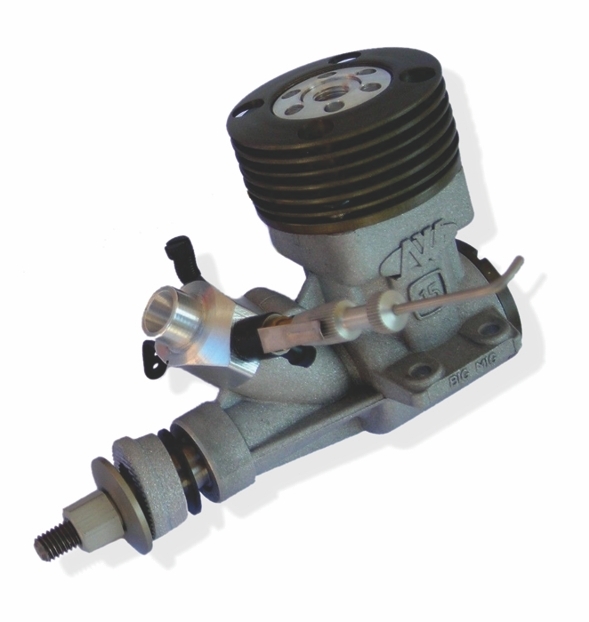 Other combat features are break away, spring mounted muffler, single needle carb with an angled needle which is less likely to snap off than remote needle setups, and a replaceable and reversible prop shaft. A muffler is included. Stroke - 0.54 in. 13.8 mm. way engine runs and the quality of the engine.